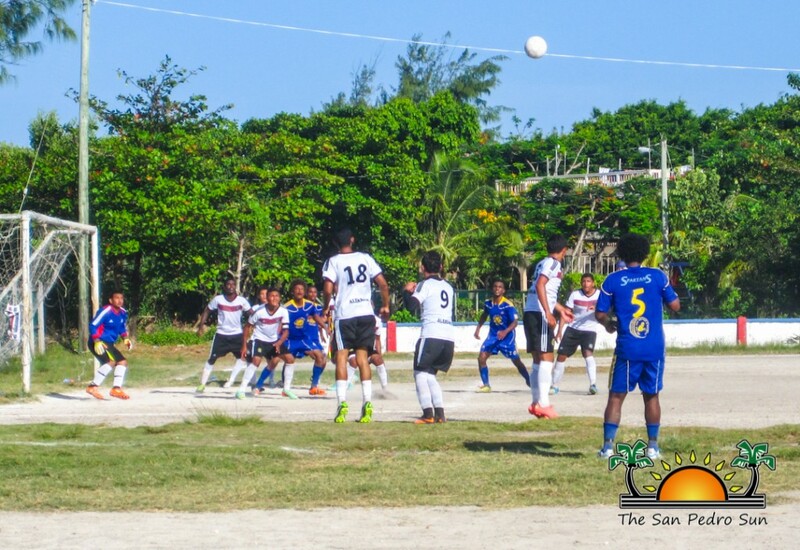 The Island Cup Football Tournament is nearing the finals, and on Sunday, August 17th the fifth round of games were played. The Ambergris Stadium was the place to be as six football teams faced off in three grueling matches. The crowd in attendance was certainly pleased with the display of football talent. Legends and Dorados set the tone of the day with the first game. The well-seasoned Legends took the win in a 2-0 point match even though the Dorados gave a decent fight. Game two saw, San Pedrito FC face San Pedro High School (SPHS) Football Team. SPHS managed to win their first-ever game in the tournament in a 2-1 point match! The last game of the day was between the Joker FC and Vince’s Warriors. Both teams wanted the win, but Joker FC snatched the victory with 3-1 score. Special thanks go out to this week’s sponsors: San Pedro Town Council, Deputy Mayor Gabriel Nunez, Felipe Paz, La Divina Providencia Grocery Store, Fitz Brown, Varela’s Lumberyard and The San Pedro Sun. For more information about the tournament, contact Ernildo Jones at 662-6936.